SkinPen microneedling is proven to smooth skin, tighten fine lines and wrinkles, and also help improve acne scars by boosting your collagen and elastin production. SkinPen by Bellus Medical is the only microneedling device in the world cleared by the U.S. Food and Drug Administration, clinically proven to safely and effectively treat facial acne scars for ages 22 and up. We believe this treatment is the future of skin rejuvenation! PRP stands for platelet rich plasma. This plasma is taken from your own blood and when used in addition to microneedling, it results in smoother, tighter skin with faster healing time. 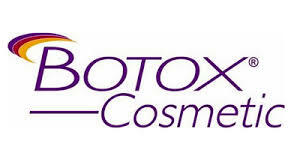 Results are seen in 4-6 weeks and may improve up to 6 months as collagen builds. ​Platelet rich plasma is taken from your own blood and then reinjected into the face for tightening and plumping or into the scalp to promote hair growth. PRP is packed with enzymes, growth factors, and platelets which help trigger collagen and elastin production. When used in the scalp for hair restoration, the PRP stimulates natural hair growth by increasing blood supply to the hair follicle and increasing the thickness of the hair shaft. ​Average PRP therapy requires 2-3 treatments, 4–6 weeks apart. Maintenance treatments are recommended 1-2 times per year after the initial treatment. This is a great option for someone wanting a natural approach! Minimal downtime, natural looking results, minimal discomfort. ​needs. Treatment is recommended every 3-5 months. Dermal fillers are an FDA approved injectable and are a wonderful way to help lift areas in the face with volume loss, smooth out etched in wrinkles or lines, or plump areas like lips and cheeks. They offer long-lasting results varying from 6 months to 2 years depending on the product used and are a great alternative to surgery. All fillers offered at FIXX are made out of Hyaluronic Acid (HA). Hyaluronic acid (HA) is a naturally occurring substance that is already found in your skin. It helps keep skin plump and hydrated. HA fillers are typically very smooth and gel-like, are gradually and naturally absorbed by the body, and may even be dissolved if the treatment is undesirable. Most HA fillers are also infused with lidocaine to help minimize discomfort during treatment. The Pixel is a “partially” ablative laser skin resurfacing treatment using an Erbium YAG laser at a 2940nm wavelength. It is useful for improving overall skin tone, elasticity and texture, and pore size. This does not treat “color issues” in the skin, such as brown or red. In some ablative laser resurfacing, the entire top layer of the skin is removed. But Pixel utilizes a fractional delivery method (partial) which creates pixel-sized perforations in the skin, leaving the surrounding tissue intact. This allows the skin to heal faster as the epidermis is regenerated. Treatments can be light (no downtime), moderate, or intense (one week of redness and flaking.) Prior to any laser treatment we recommend not using Retinol products, tanning, waxing, or peels for 1-2 weeks so that your skin is not extra sensitive. Dermaplane is a very safe, non-invasive procedure that involves taking a blade lightly against the skin to help exfoliate dead skin cells and remove fine hair or “peach fuzz” as some might say. This procedure promotes a smoother skin surface, reduced appearance of fine lines, removed dirt and oil trapped by fine facial hair, and provides an enhancement to other facial procedures such as microdermabrasion or chemical peels. There is also no down time to this procedure. Microdermabrasion is a non-invasive treatment that works by gently exfoliating the top layer of skin with a bristle technique. It is a great option to help build collagen, improve brightness, and texture. Another benefit is this procedure has no down-time! PCA (Physician's Care Alliance) offers wonderful, effective peels tailored specifically to help with acne issues, hyperpigmentation, anti-aging, and sensitive skin. PCA offers chemical peel options suitable for any skin type. A chemical peel is a great option to help brighten the appearance and smooth the texture of the skin. It is a solution applied to the skin that works by enhancing the exfoliation process. Once the top layer of skin exfoliates, the new layer of skin has improved collagen, texture, and more even tone. You can expect 2-3 days of minimal to moderate peeling before results are seen. 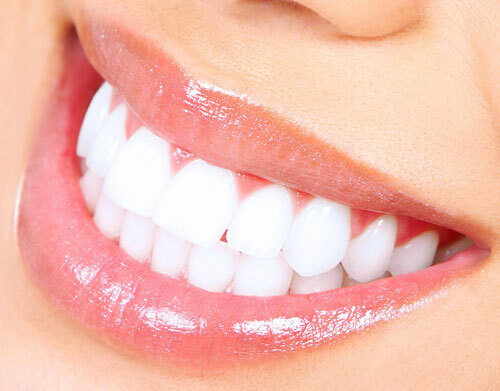 Fixx Medical Spa offers medical grade teeth whitening with LED enhancement. We use the BleachBright whitening system which is in complete compliance with OSHA, EPA, and FD&C guidelines and regulations. We guarantee safe, effective results and know you will be satisfied with your whiter, cleaner smile! The procedure takes approximately 20 minutes per session. VascuTouch uses a combination of low level radio frequency energy and DC current to remove skin tags and vascular blemishes such as broken capillaries and cherry angiomas. It is also useful for extracting small white milia or cholesterol deposits from the skin. Often, with little to no downtime, the treatment takes 30 minutes or less. Massage therapy available at FIXX with Karen.